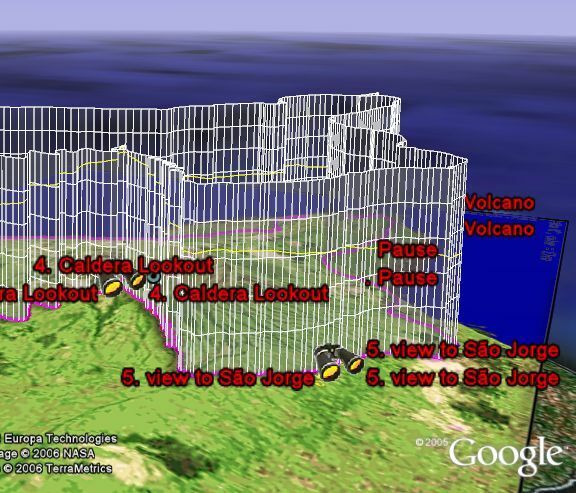 magnalox is an excellent tool for uploading and showing GPS tracks (or paths of all kinds). It is particular useful for easily annotating different places along a trip, or adding photos and other information to provide story-telling to your friends and family. I first wrote about magnalox last October. Since that time, the author of magnalox has added many features and upgrades. Recently magnalox added a new capability to show graphs of the key parameters of a track such as elevation and speed, or you can even show heartrate. 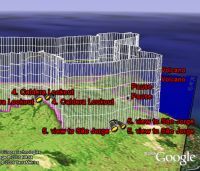 The innovative aspect is showing the graph as a semi-transparent 3D graph directly above the track when viewed in Google Earth. This is the first time I've seen track logs with this feature. Here is a GE example of the new feature. Make sure you use pan and tilt (middle mouse button) to look at the graph from different sides. Here is the same example viewed in magnalox as a 'magnalog'. In my opinion, the most powerful feature of magnalox is that the presentation of a GPS track (or 'magnalog') will animate the track showing where you stop and start, speed up or slow down. See example here with Google Maps as the background. This really helps you visualize what happened when the track was made.